Hot Wheels, leadin' the way! 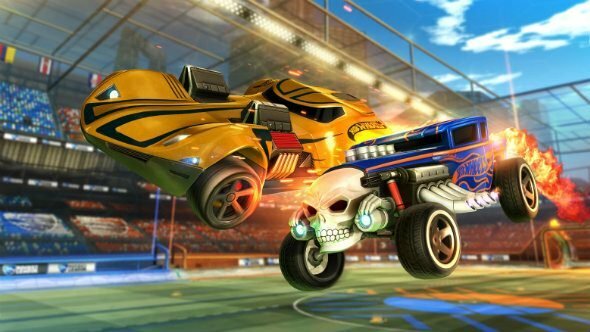 Rocket League Season 9 is here, and it's brought plenty of Hot Wheels goodies with it. The popular car soccer game has partnered with Hot Wheels' iconic line of little toy cars to make something for fans of all ages to enjoy. The Hot Wheels Triple Threat DLC pack is now available in-game for $5.99 for one, but there's also a series of Hot Wheels content up for grabs as well. Season 9 introduces the new Hot Wheels Rivals playable arena for Casual Playlists, Tournaments, Private Matches, and Offline Matches as well as a new Hot Wheels 50th Anniversary flag, player banner, and wheels for all players to snap up. Beyond these branded items, you can get the Monstercat collaboration items as well, including a special music playlist, topper, and a set of flags. 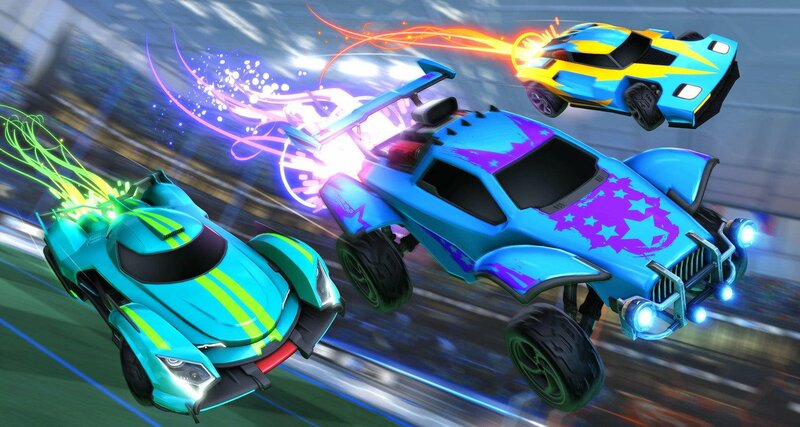 Competitive Season 8 has ended, which means titles and items will be given out to players, including goodies in the form of special Rocket Boosts. That means Season 9 is now active, and fans will have to take part in a "soft reset" that necessitates placement matches for each playlist. Check out the full patch notes, as well as bug fixes, below.